What do you get from a $25 multimeter? Fred Clift wrote over on his blog about why it’s worthwhile to pick a more expensive multimeter. 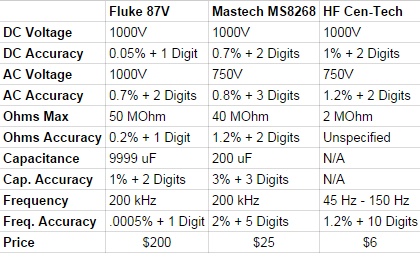 He’s comparing a $200 Fluke to a $6 Harbor Freight multimeter, which really is a no-brainer. I’m not sure the Harbor Freight model would be safe to use on any of the higher range measurements with those whispy, poorly insulated test leads. 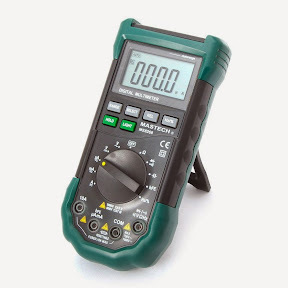 I use a few mid-grade meters for basic bench measurements and was interested to see how they compare with the Fluke 87V and the Cen-Tech from Harbor Freight. I use the Mastech MS8268 meter which I recommended in my “Getting Started with Basic Tools” post. It’s durable, rugged, and costs only $25. Really, it’s about what I expected to find. As you go down in quality you lose accuracy, but the Mastech meter has all the same functions as the Fluke – just not quite as tight. The Fluke does have some cool features that Fred picks out. It will tell you min/max/average over an interval, faster continuity beeps to quickly check a strip of connections, and a higher voltage continuity test that can actually light up an LED. Otherwise, though, the Mastech has the same basic capabilities including 200 kHz frequency measurements. I’ve been able to use that in a pinch as a signal tracer – set the meter’s range to measure frequency, and probe the stages of an audio amplifier. Meter shows the tone? Move on to the next stage. 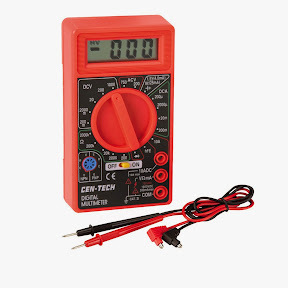 A lot of applications don’t need 0.05% accuracy on a DC voltage reading, so I stand by my recommendation of the Mastech as a “good enough” meter for most hobby work and vintage equipment repairs. There’s definitely situations where it’s worth it to spend a bit more, though. 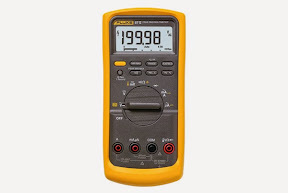 This entry was posted in Commentary, DIY, Electronics, Gadgets, Test Equipment and tagged cen-tech, fluke, harbor freight, mastech, Multimeter, multimeter comparison, test equipment. Bookmark the permalink.